Is Solo Travel safe in New Zealand? Recently I did a solo trip to Rotorua, New Zealand. Most of my trips are with Andy so it was unusual to venture out on my own and undertake solo travel. After doing some research about potential locations for some time out by myself I settled on Rotorua. Why Rotorua? It is an hour flight from Wellington where I am currently based, and I am familiar enough with the town to get around easily without having to resort to planning when and where I needed to be. The focus for the weekend was on rest and recuperation after being sick for months. I proudly called by weekend getaway my ‘Solo Wellness Retreat’ – and it was, and so much more. I can’t remember the last time I had a whole weekend to myself. Being by myself and taking my time was a real focus. So this post isn’t about the best places to hang out and meet new people or even where to enjoy other people’s company. My ‘Solo Wellness Retreat’ was all about me. It was also about discovering new places and rediscovering old ones from the perspective of being a solo traveller. I had the best time and after two and half days by myself, I felt like I was back to my old self. I came home feeling like myself for the first time in ages, and my husband and friends commented that I was ‘back’. I am an introvert so being able to spend time by myself enables me to recharge my batteries. So I think that is a good thing to get away and get to know yourself again once in a while. For me, solo travel enables me to rediscover who I am and to take time out. Winter is a great time of year to travel. You don’t have to compete with hundreds of other tourists and you can still see all the same sites and scenery. Hopefully, you will also get an insight to some of the great places to visit in Rotorua. There are plenty of Rotorua activities I could be ticking off the list, but to be honest I was focused on quiet enjoyment rather than racing around. 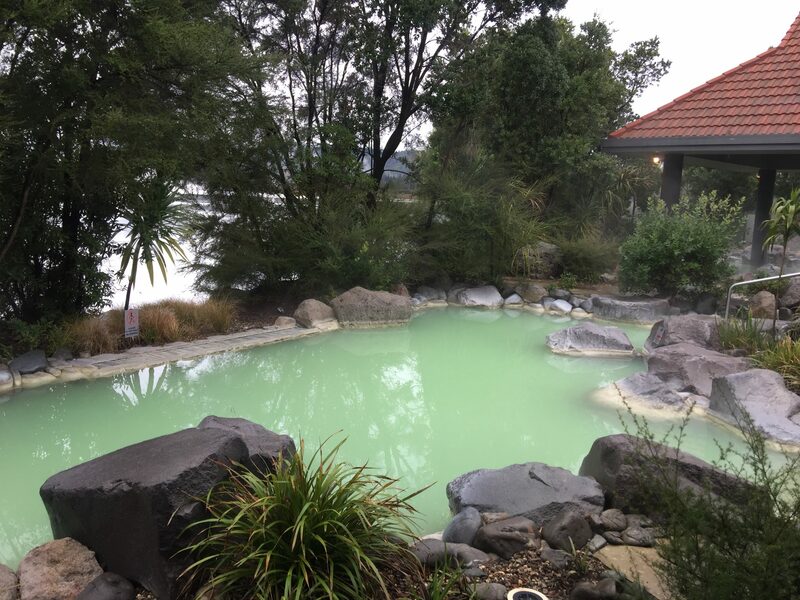 This post details my Spa Weekend in Rotorua. Some of the places outlined here I have been to before with friends and family, so it was nice to visit on my own. First things first, is solo travel in New Zealand safe? Yes. Without a doubt. Of course, as with any travel, you do have to use your common sense. New Zealand is a safe and friendly country to travel in. You will generally be surrounded by amazing beauty and sites. New Zealand is a collection of islands, with the two main islands being the North and the South, and Stewart Island tucked away at the bottom of the South Island. Although New Zealand has a small population it is a long country with diverse landscapes ranging from mountains, beautiful beaches, geothermal wonderland, great cities, nature, nature, nature – and everything in between. As with most countries, you can structure your adventure to fit your budget. You can take buses, planes, ferries or trains to get around – or you can drive yourself. Be warned though, looks can be deceiving – while distances may not look very far on maps – it takes a while to drive anywhere. Rotorua is a New Zealand tourist hotspot, and a geothermal wonderland. This means there is good tourism infrastructure and plenty of things to do. It also means that at peak season it is busy, and attractions and accommodation can be expensive. Visiting in Winter, as I did, still means there is plenty to see and do. In fact, soaking in hot pools is often much more pleasant when it is contrasting with cold, wintry weather. There is a broad range of things to do – with activities to suit active travellers or those who wish to relax in a beautiful place. The local tribe Te Arawa, has been hosting visitors in their home land since the 1800’s when people flocked to take in the thermal waters, revel in the beauty of the many lakes, and of course, see the pink and white terraces. In 1886 these terraces (and many villages) were destroyed by Mt Tarawera erupting. 65,000 people currently live in Rotorua. Rotorua is in New Zealand’s Bay of Plenty. It is easily accessible with flights from Auckland, Wellington and Christchurch. If you have a bit of time on your hands you could try the bus. I recently caught the bus from Rotorua to Taupo (and back again) – it cost $11 NZD each way and took just over an hour. I had two seats to myself, there was wi-fi on board, the bus was clean and tidy. Overall it was well worth it. For this trip, I flew Air New Zealand from Wellington to Rotorua. I also hired a car for the weekend from Budget. As with any tourism based location, there is a broad range of accommodation in Rotorua. 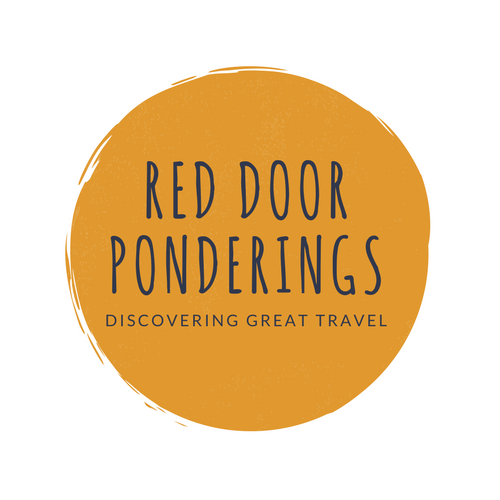 There are plenty of large hotels catering to busloads of tourists, lots of backpackers hostels for those on tighter budgets and plenty in between. I prefer to book accommodation with kitchen facilities so will either book an apartment or a motel. I have recently rediscovered kiwi Motels and realised how good value for money they are. Check out the size of this spa bath…. The Spa Pool in the bathroom was also huge. If you have any mobility issues then you may want to consider seeing if there are any other rooms at the motel, as the shower was over the bath. I had to clamber in and out – it must have been a sight!! I love to pack things to have my own spa experience at the motel – what do you love to pack for a special treat when travelling? Here are a few of mine: Bath Oil, candles, speakers. The motel is slightly out-of-town – 3 minutes drive – so it is helpful to have a car. Having said that though it is also a couple of minutes drive from two supermarkets, a shopping mall and a couple of fast food outlets. Be careful though, the motel next door has a similar name. Which I found out when I tried to check in! Arista Capri Motel in Rotorua is definitely worth checking out. Rotorua is a perfect place for a spa wellness weekend. The main aim of my weekend away was to spend some time exploring Rotorua hot pools and spa experiences in Rotorua. And oh, I did! I had an amazing time and felt really zen when I hopped on the plane home. Being a solo traveller was an opportunity to see how comfortable and confident I was going into spaces where groups of people gathered. And I discovered that I didn’t really care what anyone else thought or did. I loved solo travel in the form of a spa weekend, I would highly recommend it. Here are my highlights. Rotorua Hot Pools are world renowned, there is such variety across the region. These hot springs are 2o minutes drive from Rotorua, alongside Lake Rotoma, and are my absolute favourite. To be honest, the primary reason I hired a car was so I could head out to these hot pools. I first went to these hot pools about 10 years ago when they were a bit more rustic – which means they did not have changing rooms or a toilet. I ventured here on a very cold Saturday afternoon and when I arrived there was one other person in the pool. That is right – one other person. So, for about 45 minutes (until three car loads of tourists arrived) it was just me and one other person in the whole place. Amazing. It costs $8NZD (children $3NZD) to get in – almost free. These pools are close are pretty natural, the hot springs filter through the gravel. As you move around the pools you can find spots of different heat – I gradually move into the hotter part of the pool where I park up. In the hottest part of the pool it is about 37 c/ 98F. The pools are surrounded by trees in a quiet spot, aside from birds there is really no other noise. Magic. Waitangi Soda Springs is a perfect place to relax. The facilities are old school and rustic, but that is part of the appeal. After exiting the bliss of the pool it is a mad dash to get dressed before getting cold! Changing Room graffiti is eternal and global. This is a particularly Kiwi version that made me laugh. The Polynesian Spa is the big boy in town. A totally different experience to the Waitangi Soda Springs – and just as enjoyable. I went twice over the weekend to the Polynesian Spa and had a magic experience both times. The first time was late Friday night, I spent 1.5 hours soaking in the Family Pools. It cost $48NZD (children and adults) to get in – so it is a pricier option. I loved it – even though a busload of Japanese tourists had just arrived. The great thing was that even though there was a busload of tourists there, there was still plenty of space to find a solo quiet spot. There are several pools of differing heat – I progressed from 37c/98F to 39c/102F to 40c/104F and finally 41c/106F. Outside it was 8c/46F – so the contrast was astounding and amazing. The great thing about the Family Pools is that you also have access to showers and changing rooms with towels, hair dryers, moisturisers and cleansers. I also booked in to do the Ultimate Relaxation and Bathing Retreat at the Polynesian Spa. This consisted of access to the Family and Adult Pools, an hour massage and lunch. It was all astounding. The service was impeccable from when I walked in the door to the moment I left. The massage was magic and Ines, the masseuse, managed to find all the knots in my neck and shoulders. My massage was followed by a lovely lunch (pumpkin quiche and salad, smoothie and fruit salad) and more soaking in the pools. Just heavenly. It started to drizzle while I was in the pools – it just made the experience even better. This was indulgent experience, so not something I would (or could) do every time I visited Rotorua, but given my weekend was focused on rest and relaxation this experience was a perfect fit. The Spa Rotorua at the Millenium is also worth checking out. The Spa is located downstairs from the main reception at the Millenium. My Honey Energy Rotorua Mud facial and pedicure appointment was at 10 am, and the foyer was chock full of conference goers. So no serene entrance, but once you get downstairs it is quiet and lovely. The Spa is on the same floor as the pool, and there are also two spa pools which are part of the Spa and can be used either before or after your treatments. Clearly, I hadn’t had enough coffee when I went for my treatments – and I was also extra relaxed afterwards – so I didn’t get a load of photos. I had a 60 minute wonderful Honey Energy Rotorua Mud facial and I may or may not have fallen asleep. I followed the facial with a Treasured Feet pedicure. Fabulous. I would definitely recommend checking out The Spa Rotorua. I had a wonderful experience and felt looked after from the moment I walked in the door. Wonderful. Rotorua is the perfect place to escape to for a Spa Weekend and for solo travel. There are plenty of options to choose from – and it doesn’t matter whether you are a solo traveller or as part of a group. Regardless of which spa experience you choose there are some basics you will need – a towel, flip flops, and a waterproof bag. I was really pleased with the experiences I had, and would definitely do each of them again, including as part of a solo travel expedition. If you are in Rotorua it would be worth checking out one or two of these experiences – you won’t regret it. Oh these spas look amazing. I love the idea of an open water hot pool. So much fun! Open air hot pools are great – especially fabulous when it is cold outside! sounds like a great relax weekend! going to add to my list when i go to NZ. thank you for the post! You should – Rotorua is well worth exploring. This place looks just perfect for a relaxing weekend away! I’m yet to visit New Zealand but am desperate to eventually. It’s also great that you took the time to recharge your batteries. It’s something that not enough people do. Good on you! It was the perfect place for a relaxing weekend. I am so glad I did it – it took too long to do so though. Ha, that is the intent!! It is pretty amazing with some pretty good things to try and do. It definitely is. Best when it is cold and little bit drizzly! This looks like an absolute dream!! I cant wait to go one day! I have personally visited there only one time in my whole life but I have an awesome experience there. It is a really good place for fun and tourists can enjoy some time with buddies. I hope you will enjoy there a lot.